Remember that day the web went crazy when an image of Mark Zuckerberg revealed tape across his computer’s camera? For a moment, you might’ve thought it was Photoshopped. It wasn’t. Considering the power and reach of today’s hackers, it doesn’t seem so extreme — at least if you’re a social media giant like Mark Zuckerberg or James Comey, the head of the FBI, who also covers his camera and audio jack. If you’re a home-based business owner or freelancer, you might not need to worry about Putin obtaining state secrets from your laptop. But, you should still protect yourself against hacking. Remember, hackers can potentially steal information from any internet-connected device. Your laptop, smartphone, and tablet are all potential targets. So what can you do? Consider what you keep on your laptop or home computer — bank records, photos of kids and family, taxes — information that, if landed in the wrong hands, would be a disaster. Your personal data is one thing, but you need to consider the available data that exists for your small business or office, too. Business computers often include client and employee information, banking information, and business contacts — data that could potentially be leveraged against the business. Breached data leads quickly to a crisis at home and in your work. Not too long ago, the most valuable data hackers sought were credit card numbers, but that’s low-level theft nowadays. What’s more valuable to cybercriminals is personal data: Contacts, email addresses, medical information. Personal data trumps credit card data because criminals can construct larger, more destructive scams. Sophisticated phishing attacks, identity fraud, and targeted attacks result from unsecured personal data. In fact last year, the Office of Personnel Management (OPM) was hacked. Many consider it worse than the retail breach of 2013. Target, one of the hardest hit stores, settled for $67 million with Visa alone. Some call the OPM hack the most damaging breach in history because of the type of data that was compromised — employment records, Social Security numbers, performance reports — from nearly 4 million government employees. Cyber attacks that work to obtain personal data aren’t about money; they are about access. Information unlocks securities put in place to protect against online theft. The more information these jerks have, the easier it is for them to game the system. Understand Technology is a Changing Game. As technology evolves, so do the ways to compromise it. Hackers get smarter with every new development. You may think you have strong cybersecurity measures in place, but confidence can be a downfall. 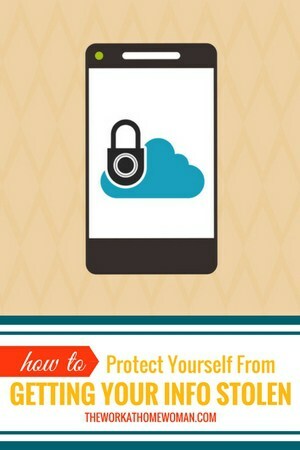 You may be neglecting an obvious way to protect yourself. For instance, though most people understand how to dodge risky phishing attempts, there’s a new bobber to avoid. Called spear phishing, users open emails and download attachments from these accounts because it appears as if the email is coming from someone they know; only it isn’t. Spear phishing selectively targets specific individuals, so users trust the email, making themselves vulnerable to attack. Think you can spot a spear phishing attempt? Crowdstrike, who studied the Democratic National Convention hack, says it was a complex, long-game breach by the Russian government. If people with the manpower and resources to stop hacks are fooled, the general public doesn’t stand much of a chance. With many working from home or sharing computers for personal and business use, cyber security must be at the forefront of technological concerns. Spending a bunch of money isn’t necessary — Zuckerberg used a piece of tape — but with some basic precautions, your personal data, and the data of your family or employees, can be kept safe. Consider these ten precautions to avoid being hacked. 1. Use your credit card or bank’s free credit monitoring services. These services aren’t foolproof, but they protect your identity to some extent. Also if your bank offers alerts for certain activities, use them. A text message or email about unusual spending can be a red flag of a breach. 2. Be cautious on social media. It’s fun to announce your vacation plans to friends and family, but the more attention your posts get, the more potential for hackers to gain access when they know you are less likely to be vigilant. Keep your privacy settings engaged, and avoid sharing too much information. 3. Check your credit report at least once a year. You probably don’t think too often about your credit report unless considering a big purchase, but inspecting this at least once a year can stop an attack in progress. 4. Beware of social engineering. Social engineering, an attack that involves tricking users through social interaction, is devious. But it works, especially if someone claims to be from a trusted entity. Never provide or confirm personal information to anyone who calls you. If your bank or credit card company does call you, hang up, and then call the number on the back of your card. In these days of automatic withdrawals, people rarely look at their bank or accounting statements. Ensure your finances are safe by checking your bank and credit card statements each month. 6. Watch for medical bills or statements. Look over any mail you receive from hospitals, doctors, or other healthcare professionals to ensure no one is illegally using your insurance. Medical information is a hot commodity for hackers. If you have digital or paper files to get rid of, shred or destroy them. 7. Be wary of email. The hackers who’ve attained personal data, often using it before anyone knows there’s been a breach, are developing elaborate email phishing scams. Phishing scams prompt users to expose personal information or to download malware. Always know who a sender is before exposing yourself by opening an email, and never download attachments from an unknown source. It's not enough to use strong passwords if you’re using the same one or two for all your sites. So first, vary your passwords, then make them strong. Hackers can break a nine-character password in about five days. A 12-character password should take closer to 200 years — a much safer bet. Avoid using personal info to create your passwords. Aim for a string that isn’t recognizable as a word. Change passwords frequently for sensitive data like banks and email. 9. Take advantage of two-factor authentication. 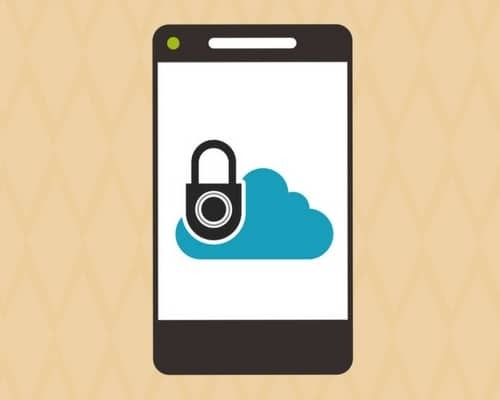 Two-factor authentication means you have a password and a secondary method of authenticating your identity, like a code texted to your phone. Don’t think of it as a hassle; think of it as a seatbelt. Yes, it takes a few extra seconds, but with two-factor authentication you can withstand a much bigger crash. 10. Be careful with public Wi-Fi. Public internet access is, well, public. Anyone using the same Wi-Fi network can potentially breach your device. Using the Wi-Fi at a coffee shop or hotel is convenient, but you have no idea how secure that connection is. If you must, enable a device’s mobile hot-spot feature or use a virtual private network (VPN) to encrypt traffic. Corporations and other businesses are engaging in proactive security measures that go a long way to protect an individual’s personal data, but cybersecurity depends on how you make use of it. Merchants, banks, and healthcare facilities don’t want your information leaked or made accessible to cybercriminals. But, their first priority is self-protection. Don’t rely on them to keep your personal data secure. Protecting your identity, personal data, and the data of those you employ is up to you. Go the Extra Mile for Safety. Long-term measures help keep your data safe, but you can start being proactive today. Stay up-to-date on updates, especially anti-malware and anti-virus software. Always check the ratings on an app before you download it, and keep your privacy settings locked down on social media. Log out of your accounts when you finish using them, and make sure site addresses begin with “https://” before offering personal information. According to IBM’s research, 95% of security breaches are the result of human error. Having private data stolen is much more widespread than most people realize. Being proactive against cyberattacks isn’t hard. Taping up your computer’s camera is one way to do it; securing what’s behind the hardware is better still.